Please Note: Beginning Monday, March 5 through March 28, Montcalm Street will be one-way going West between Woodward Avenue and Park Avenue. Guests who pre-purchased event parking and those who plan to park in the Fox Garage during this time frame can enter either off Montcalm Street coming from Woodward Avenue or from the I-75 Service Drive, just east of Park Street. We encourage guests to allow for extra time to park when attending an event during this time frame. Thank you for your patience. There are 32 parking facilities within The District Detroit that are all within a 10-minute walk to Fox theatre. We have partnered with ParkWhiz to help you find the best parking for events in The District Detroit. ParkWhiz is an e-parking service that allows users to book a guaranteed parking space before reaching their destination. 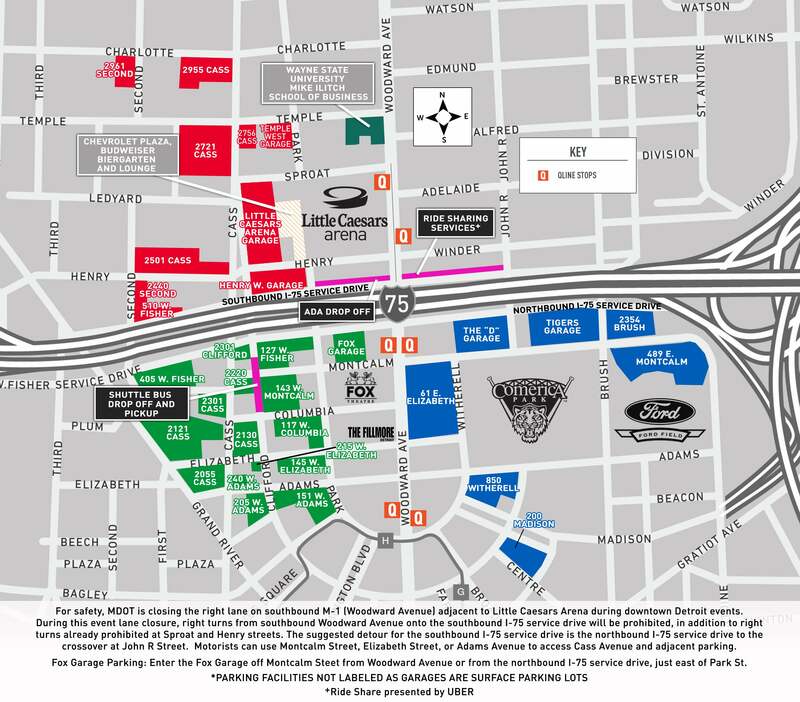 Book your parking spot today by clicking here or selecting an option on the map below.